Since the Tennessee General Assembly reconvened on Jan. 9, a steady stream of new legislation has been filed, with dozens more bills expected before the Feb. 1 deadline. 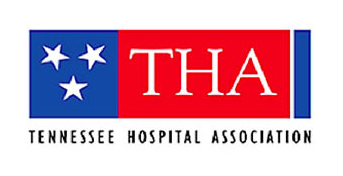 Among those proposed bills are a number of priorities for Tennessee Hospital Association and its 138 member hospitals to ensure reliable and quality healthcare for the people of the state. Legislators are rightly focused on addressing the state's opioid crisis, and hospitals share that commitment. For the past several years, THA has been working closely with the Tennessee Departments of Health and Mental Health and Substance Abuse Services to reduce opioid prescriptions, prevent abuse, and provide treatment for those struggling with addiction. In addition, hospitals support legislative and policy efforts that confront the opioid epidemic head-on and will continue to partner with lawmakers and state agencies, especially during this legislative session. This work is seen most directly in the recent announcement by Governor Bill Haslam, Lt. Governor Randy McNally and House Speaker Beth Harwell to launch TN Together, which includes legislation to reduce prescribing limits and modify the frequency and manner of use of the state's controlled substance monitoring database. Working together, we can turn the tide on this devastating issue. In addition to the opioid issue, hospitals have several other legislative priorities to address in the coming weeks. As always, the hospital assessment is the centerpiece of THA's agenda. Established in 2010, the annual assessment helps generate roughly $452 million in state funding for the TennCare program. When coupled with federal matching funds, the amount totals more than $1.3 billion. Those dollars help maintain several enrollee benefits and avoid steep cuts to provider reimbursement. THA also will bring a few technical bills that update state law to include claims data reporting by psychiatric hospitals to the Tennessee Department of Health and to streamline sections of the code in accordance with new federal regulations. Outside THA-led legislation, there are three other priorities that hospitals and health systems will be closely watching. THA supports extending the Health Services and Development Agency, which oversees the state's certificate of need program. The state agency is set to expire at the end of the fiscal year and is up for a three-year extension. A lingering issue from 2017 is maintenance of certification (MOC), which will undoubtedly receive a significant amount of attention this session. The proposed legislation would prevent hospitals from requiring maintenance of board certification as a condition for physician privileges. While not all hospitals in the state require MOC by physicians, there is broad agreement that legislating the hospitals' processes to ensure qualified providers is not good policy. It is critical for hospitals and their medical staffs to remain autonomous in the ability to set standards and expectations of physicians. Another major issue for 2018 is balance billing, or bills for out-of-network physician services provided at in-network facilities. Multiple bills are expected, and THA supports a comprehensive solution that ensures adequate provider networks and fair reimbursement for healthcare providers, while avoiding a negative impact on patients. Beyond legislation is the troubling financial landscape for rural hospitals. With nine rural closures in the state since 2012, Tennessee ranks second in the country for such occurrences. While the drivers for closure are varied - reduced volumes, unbalanced payer mixers and reduced reimbursement, higher uncompensated care and greater chronic disease among patients - the reality is undeniable. Rural hospitals are in dire straits and closures have ripple effects far beyond healthcare. Typically, rural hospitals are among the county's largest employers, which translates to local jobs and tax revenue. The closure of these facilities deals a direct blow to the local economy and makes future economic development incredibly challenging. A local healthcare presence is necessary when it comes to recruiting new businesses and bringing additional jobs to rural communities. THA's small and rural members are partnering with other stakeholders and state agencies to identify solutions to keep a medical presence in communities and develop financially viable delivery and operating models that ensure a stable future for healthcare in Tennessee's rural areas. The coming weeks are sure to be busy, as hospitals tackle this broad list of priorities. However, this work is essential to maintaining and advancing quality, affordable healthcare for all Tennesseans. THA is proud to lead these efforts. 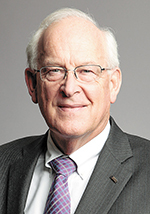 Craig Becker has served as president and CEO of the Tennessee Hospital Association and its subsidiaries, THA Solutions Group, Inc., and the Tennessee Hospital and Education Research Foundation, since August 1993. He holds a master's in administration and a bachelor's in journalism from Rider University in Lawrenceville, NJ.